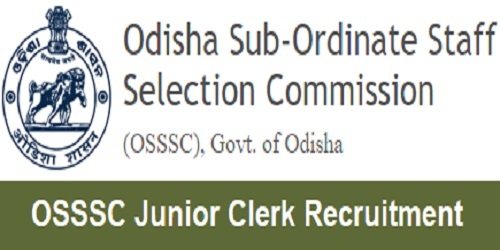 Brief Information: Odisha Sub-ordinate Staff Selection Commission (OSSSC) has given an employment notification for the recruitment of Junior Clerk/ Junior Assistant vacancies under general and special recruitment drive for ST/ SC of different departments of Govt. of Odisha. Those Candidates who are interested in the vacancy details & completed all eligibility criteria can read the Notification & Apply Online. Candidates must have passed in +3 examination or such other qualification as are equivalent to +3 examination with knowledge in basic computer skills.